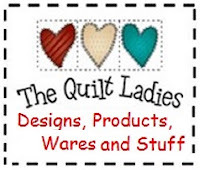 The Quilt Ladies Book Collection: Making my Sewing Room MINE ! I have to say, "I don't LIKE my sewing room"
So, before our spring trip, I took the old computer desk and painted it. Sanding it down a bit and used Pink and Black to make it pop ! Then let it set and get good and dry ! ! I just finished the fun part ! Used acrylic paint, stencil and let the fun begin ! Use an up and down motion to add the paint, less is more, as more can always be added. It is a very simple stencil which I moved around and made mine. coats of clear satin on top !